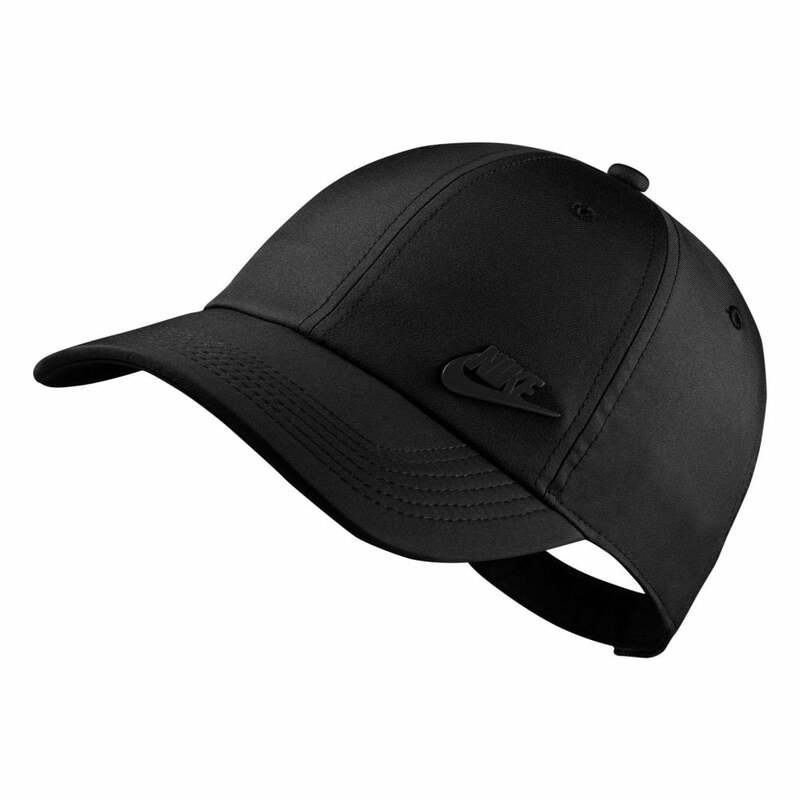 This Nike Futura Metal Swoosh Cap is 100% Polyester and is black in colour. It has an adjustable strap at the back with a metal buckle. Nike branding appears as a metal badge on the front as well as on the metal buckle.